Will Going Gluten Free Help Inflammatory Bowel Disease? The term inflammatory bowel disease (IBD) describes a condition in which the intestines are inflamed, meaning there are high numbers of inflammatory cells present in the lining of the digestive tract. It has often been thought of as an autoimmune disease, but research suggests that the chronic inflammation may not be due to the immune system attacking the body itself. Instead, it is a result of the immune system attacking a harmless virus, bacteria or food in the gut, causing inflammation that leads to bowel injury. The following short video explains the causes, symptoms, diagnosis and treatments for IBD. When you have IBD, discovering which foods and drink affect or aggravate your symptoms can be a bit of a minefield, which might leave you feeling frustrated and stressed as a result. Some people with IBD have reported that gluten causes negative effects on their symptoms and below we take a look at two of the main reasons why this is. The proteins in wheat are gut irritants; imagine the protein as a ‘splinter’ that’s digging into the lining of your gut, which causes an inflammatory response. When there is severe inflammation, the disease is considered active and the person’s symptoms are increased. severe diarrhoea (often with blood). Since IBD is an inflammatory condition, when someone eats gluten it basically causes more inflammation and damage throughout the body, causing a vicious cycle. 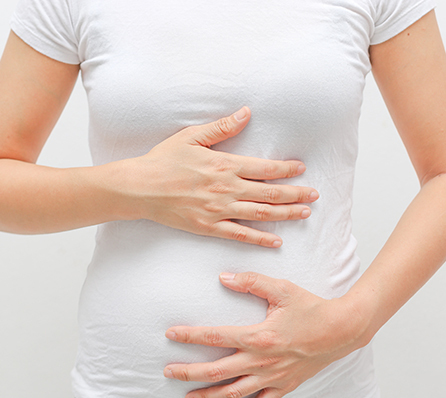 This inflammation can result in intestinal permeability, which is often called ‘leaky gut’. Gliadin is the part of the gluten protein which triggers the release of zonulin, another protein that signals the tight junctions of the intestinal wall to open up. The opening up of the intestinal wall results in intestinal permeability (leaky gut). Intestinal permeability is a big problem as it’s a key factor in the development of autoimmune diseases. Read more about what ‘leaky gut’ is here. Many people with IBD have trialled cutting gluten out of their diets. A 2014 study found “65.6% of all patients who attempted a gluten-free diet reported an improvement of their IBD symptoms and 38.3% reported fewer or less severe IBD flare ups as well as much less fatigue”. Please note that we’re not suggesting that gluten lies at the root of all the health problems we face today. However, it is a problem and many people have benefitted from eliminating gluten and wheat from their diet, especially those with digestive disorders. I recommend to my clients who suffer from autoimmune disease or digestive issues such as IBD to eliminate gluten and wheat completely for a minimum of 3 months. If you slip up or accidentally consume gluten, even if it’s just a tiny amount, it could cause an immune response which can trigger the initial symptoms you were experiencing. So that’s why we recommend for people who suffer from autoimmune disease or digestive issues to maintain a strict gluten free diet. Going gluten free can seem overwhelming at first, but you will quickly learn what healthy substitutes you can make for your favourite foods and how to cook gluten free. Visit our recipes and blogs for some inspiration. Herfarth HH, Martin CF, Sandler RS, Kappelman MD, Long MD. Prevalence of a gluten-free diet and improvement of clinical symptoms in patients with inflammatory bowel diseases. Inflamm Bowel Dis. 2014 Jul;20(7):1194-7. So, the debate continues regarding ulcerative colitis as to whether it is caused by rogue immune activity attacking the cells lining the large intestine, or whether the immune system is actually not the culprit, but rather there may as yet not identified factors negatively affecting cellular function, therefore the immune system attempts to protect the colon by actively removing the damaged cells. The question is not whether the immune system is destroying gut lining cells, but rather: why is the immune system ganging up on the cells in the first place? I tend to adhere to the latter view, and although initially treatment protocols directed at immune suppression may be necessary, and even life saving, long term immune suppression carries the real risk of debilitating constant infections, and leads to additional disease processes elsewhere in the body. More research needs to be directed toward causation operating at the cellular and intracellular level, not just immune suppression, which could actually result in permanent healing rather than a lifetime of immune disfunction coupled with cyclical flare-ups, which are known to be more damaging each time they occur. Immune suppression is a bandaid approach attempting to slow the progression of the disease process, but it does not address the so far illusive causes of cellular disfunction and damage. Also, if sulfates are a possible factor, why on earth are sulphur based medications being used? Hello!! The reason for these questions is our adult son is allergic to anything containing sulphur compounds, and has experienced anaphylaxis with all sulphur based drugs so far attempted to treat his condition. He cannot tolerate cruciferous vegetables for the same reason! So, what are the physicians trying instead? Biologics! But, biologics contain traces of foreign proteins(mouse, hamster, etc, and very possibly human fetal tissue.) Anaphylaxis again! Three bouts of dangerous allergic responses is quite enough! And, the gastroenterologist admits the only protocols in their arsenal are not curative, but merely bandaids anyway against a disease process they still do not understand fully! So, where is their research directed? More immnume suppressant drugs! Don’t you think scientists in that medical line of research would wake up and perhaps realize there could be more adverse processes at work in the cells lining the digestive tract than just immune system involvement? For example: apoptosis and cellular replacement appear to be out of sync. Either the death of the cells is premature in timing, or the replacement cells are not yet mature enough to actually replace and/or ready to take up their functional roles, resulting in inflammation, and the immune response is possibly to clean house of misfiring cells too often. Why? Is this then a stem cell differentiation and function problem? What could be causing it? And, that is only one line of research that could be done! If there are now protocols available to treat many cancers successfully, why are IBD’s, which IBD patients statistically are more prone than the rest of the population, not being studied? Are the intestinal lining cells going through a pre-cancerous anomoly stage? What is going on inside the cells?